This story is part of a series featuring each of the twelve startups in the CYstarters 2017 summer cohort. Each team has the opportunity to focus on their startup or business idea while receiving $6,000 or up to $12,000, along with mentorship, accountability, and educational sessions on how to build a business. 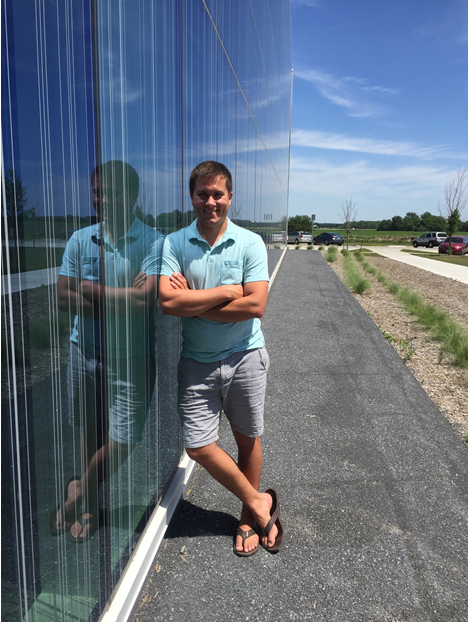 Nolan Herlocker, senior studying industrial technology and liberal arts pictured at the ISU Research Park, home to the CYstarters’ summer accelerator. Nolan walks into a room and without a minute to spare, you’ll have heard at least one pun. Spend more than a few minutes with Nolan and you’ll decide his craft could write the practical guide to becoming a pun master. If you want to hear me drone on more about my business…keep reading the story about Propelled Solutions! Propelled Solutions was created to help save lives by providing first responders with new tools to innovate how they save lives every day through drone technology. In the process of doing so, Propelled Solutions has discovered product needs that go beyond the first responder market. Propelled Solutions drone attachments are innovative in their simplicity, light weight, easy to attach, individually powered and controlled, and cost less than $200. The Sky Claw provides drone enthusiasts and commercial users the ability to pickup, carry and deliver a variety of payloads. Look for the Sky Claw to hit the market Fall 2017! Propelled Solutions offers three products for your already existing drone. The first attachment comes out this fall called the Sky Claw — a simple opening and closing claw that allows users to pickup, carry, and deliver various payloads. With a variety of uses, the Sky Claw is a tool to enable fire and rescue crews to carry supplies to people in need or to carry a cold one down to your neighbor! Next for product development will be a Flight Light and Crash Tracker. The Flight Light is a remote controlled spotlight that attaches to a drone and the light pans up and down to locate objects or people at night. The Crash Tracker will help locate drones after a crash, with an available water activated floating device. Nolan knows this pain too well, as drones do not float! In a recent interview with Nolan, he shared with us his early experiences of running a business as a handyman and where he is headed today in developing drone technology. When did you start to see yourself as an entrepreneur? When I was 12 years old, I started plowing snow for a couple of houses in the neighborhood. This eventually turned into a business that goes by the name of Nolan’s Handyman Service. The company at one time plowed 35 driveways in the winter, mowed 40 lawns in the summer, and employed 10–15 part-time employees. Since the beginning, I’ve done all of the bookkeeping, taxes, and management of the business. Nolan’s Handyman Service has been in business since Nolan was age 12. 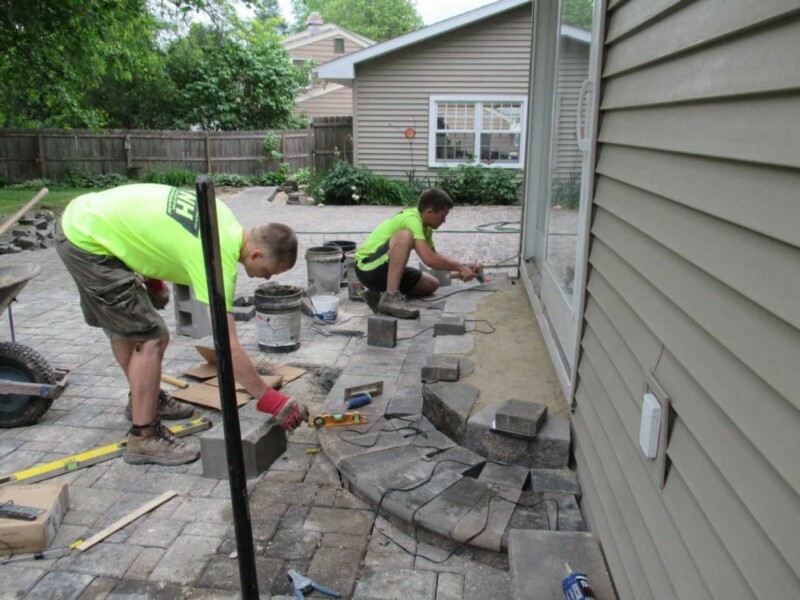 Pictured on the right, Nolan works on a client’s landscaping project in Cedar Rapids. To date, his handyman business has successfully provided the financial means to start additional ventures. Who has played a part in you becoming an entrepreneur? To begin, I grew up under the guidance of my parents, both entrepreneurs. Unlike some parents who strive for their child to go to college and get a job within a company, my parents have always supported my ideas at a young age. What’s the backstory for Propelled Solutions? I’m from Cedar Rapids where last September an immense flood was expected to occur. After the flood warning, I stumbled upon a video of a fire and rescue team. The team was using a drone and tied a rope for a lifeline to someone. I saw that and I knew I could do it better. This is what sparked the first product called the Sky Claw. What have some of your challenges been? Staying balanced is always difficult. I find myself juggling classes, leading the ISU Entrepreneur Club, managing Nolan’s Handyman Service, beekeeping, and building Propelled Solutions on a regular basis. 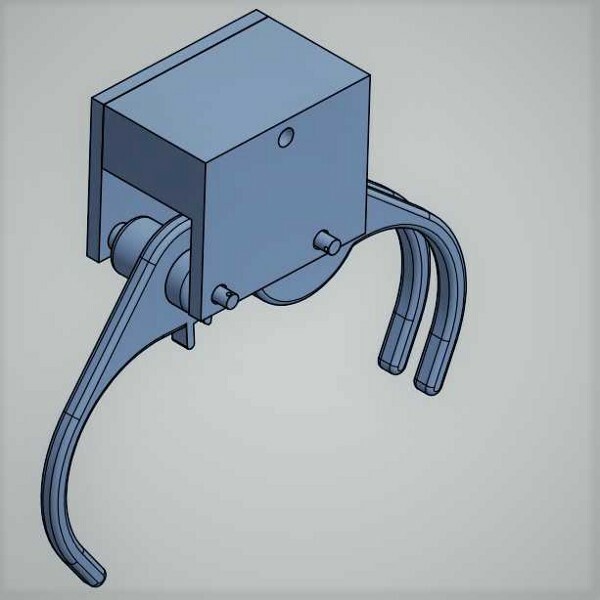 Specifically related to my business, it was tough for me to find help with the electrical and hardware design. What has helped you become successful so far? It would have to be the connections, mentors and relationships I’ve built over the last five years in the ISU Entrepreneurial scene. Having the resources like the Pappajohn Center is important and being able to work with great people like Judi Eyles, Diana Wright, Ted Bair and countless of others that keep it all in check. The CYstarters program provides me the opportunity to work towards my goal in life with a great community of others entrepreneurs doing just that at Iowa State. At some point, everything’s going to go south on you. You’re going to say, “This is it. This is how I end.” Now, you can either accept that , or you can get to work. You solve one problem, then you solve the next problem, and the next, and if you solve enough problems, you get to go home. What is your vision & where are you headed? Impact for me means to create a business that improves the quality of life or the potential to save lives on a national and global scale. Propelled Solutions is a company that aligns with this goal. If you’re interested in staying up-to-date on product releases and information about Propelled Solutions, checkout our website & sign up for our newsletter. And lastly, props to you for reading this article (pun inserted by Nolan). 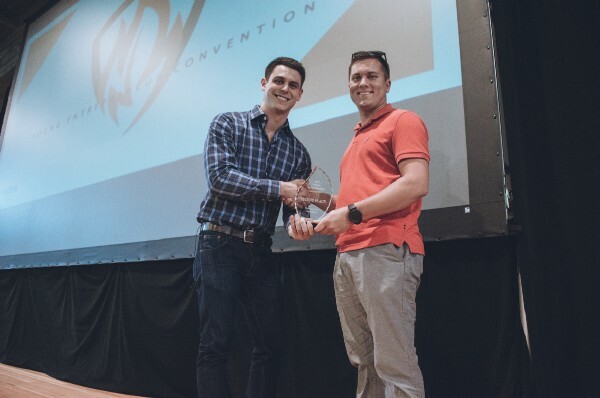 Pictured at the 2017 Young Entrepreneur Convention (YEC) in Des Moines, Iowa, Brandon Adams awards Nolan Herlocker for placing in the top 3 for YEC Elevator Pitch Competition. 2017 Pappajohn Student Entrepreneurial Venture Competition finalist; 2017 Young Entrepreneur Convention (YEC) Elevator Pitch, 2nd Place; 2016/2017 Entrepreneurial Scholar at Iowa State University; President of the ISU Entrepreneur Club; 2017 ISU Startup Factory participant; 2016 Collegiate Entrepreneurs’ Organization (CEO) Conference, Outstanding Chapter Leader; 2015 Okoboji Entrepreneur Institute member; Iowa State’s Entrepreneur & Innovation Learning Community student mentor.